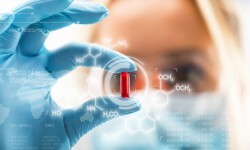 Drug Discovery is the identification and documentation of novel active chemical compounds. The identified novel active chemical compounds are called as "hits", which are typically found by assaying of the chemical compounds for a desired biological activity. The discovery of new generation antimicrobials against multidrug resistant strains of bacteria such as tuberculosis is advancing by extensive use of those modern tools. Natural products chemistry has been re-emerging as a highly promising provider of the sufficiently sophisticated lead structures for drug discovery. “Structural biology”, “computational biology”, “chemical biology”, and “chemical genetics” are now fully incorporated into modern drug discovery through target-based approaches.